I’ve been meaning to write this post for over a year, but it’s such a big topic and so much can go wrong that the thought of tackling it all was enough to make me not write it. But it’s gotten to the point that I’m tired enough of seeing the same questions asked and the same myths propagated over and over on various keto and low carb forums that I’ve decided this needs to be done, no matter how painful I might find it. Because seeing nonsense and fearmongering regarding the role of protein in low carb or ketogenic diets is even more painful. So if finally managing to organize my thoughts into some kind of coherent prose means I never have to read the phrase, “too much protein turns into sugar” ever again, it will be worth it. So that’s what’s on tap today, kids: Gluconeogenesis. Of all the myths and misinformation I wish we could kill, strap to a block of concrete, and push off the side of a boat in very deep, shark-infested waters, the protein = sugar thing is close to the top. In the LCHF world, I see many under-eating protein, particularly when fat loss is the goal. Not weight loss, but fat loss. ‘Cuz, let’s face it: when people say they want to “lose weight,” what they mean is that they want to lose fat. They want to be leaner. As many a chronic dieter can confirm—particularly those who chronically follow low calorie, low-protein diets—you can lose plenty of “weight,” but unless you retain your lean muscle tissue and/or add more lean tissue, you might end up TOFI—thin outside, fat inside. Ain’t no one got time for that! So I’m going to do my best to talk about the science in layperson-friendly terms, and do what my goal always is in writing about this stuff: to explain it the way I would want someone to explain it to me, if I were new to all this. Before we even get into gluconeogenesis (GNG), let’s cover a couple of basic things so we can keep our heads about us. It is true that most amino acids can be converted into glucose. (Leucine and lysine cannot. More on this in a bit.) But you know what else can be converted into glucose? Glycerol. The glycerol molecule from triglycerides (fats). Triglycerides—the form that dietary fats take—consist of three fatty acids joined to a glycerol molecule (hence their name, tri-glyceride). When triglycerides are broken apart (such as needs to happen in order to liberate the fatty acids so they can be burned/oxidized), you’re left with individual fatty acids and the glycerol. The fatty acids get burned or used for some other purpose, and two glycerols can be combined to make one glucose molecule. Yes, you read that correctly: the glycerol backbones from two triglycerides can make glucose. This isn’t something that happens to a huge extent, but it can happen. Funny how you never hear about this possibility when people are warning you not to eat more than 20 grams of protein in a meal, but see nothing wrong with encouraging you to glug down a cup of coffee loaded with 400 calories of butter and coconut oil. So, you see, there is a lot for protein to do. We’ll get to gluconeogenesis in a bit, I promise. First, let’s look at the fate of amino acids as energy substrates—that is, fuel. I suspect the use of amino acids as Krebs intermediates is largely responsible for the “meat sweats”—the thermic effect of protein (when you get really hot after eating a very large amount of protein), via uncoupling, but that is a topic for the true nerds among you and most of you can probably ignore this. But if you know anything about this, please tell me in the comments. I would love to understand why meat has such a high thermic effect, and if it is related in any way to mitochondrial uncoupling. We need to define our term before we get started. Let’s break the word down: Gluconeogenesis. So gluconeogenesis is just that: the creation of new glucose. For our purposes, it is the creation of glucose from other molecules that are not, and were not, glucose—such as amino acids and glycerol. "How does excess GNG affect blood sugar levels? Blood sugar levels are important because too much sugar in the blood at a given time can cause damage to cells. Does producing more glucose via GNG ultimately lead to either using more glucose for fuel, or storing it as fat? With regard to GNG, all of these are valid points, and it’s completely reasonable for us to wonder about them. It is not reasonable, however, to start equating protein—lean protein, in particular—with angel food cake. In a well-regulated body, GNG doesn’t happen because it can; it happens when it needs to. The process is demand-driven, not supply-driven. What does that mean? It means that just because there are amino acids coming into the body, and some of those amino acids can be converted into glucose doesn’t mean they will be. And it especially doesn’t mean this conversion will happen immediately upon digestion. Remember what we said: the glycerol backbone of triglycerides (fats!) can be made into glucose, too, but nobody seems all that worried about this when they’re asking for extra butter on top of their butter, with a side of butter. Don’t confuse a rise in blood glucose with gluconeogenesis. Protein we eat doesn’t automatically and instantaneously become glucose. News flash: as stated earlier, the amino acids leucine and lysine cannot be converted into glucose. They are “ketogenic amino acids,” because they can be converted into ketones, but not glucose. Does that mean you should run to your favorite supplement shop and get a bunch of leucine and lysine in order to boost your ketone levels? No. Because these aren’t automatically converted into ketones—in the same way that the glucogenic amino acids are not automatically converted into glucose. The amino acids alanine, arginine, asparagine, aspartic acid, cysteine, glutamate, glutamine, glycine, histidine, methionine, proline, serine, and valine are exclusively glucogenic. They cannot be converted into ketones but they can be converted into glucose, when the body needs more glucose than it has readily available. The amino acids isoleucine, phenylalanine, threonine, tryptophan, and tyrosine are glucogenic and ketogenic: they can be turned into glucose or ketones, whichever the body happens to need. In plain English: gluconeogenesis doesn’t happen “just ‘cuz.” Just because there are amino acids present that can be converted into glucose doesn’t mean they will be, unless the body needs glucose. And what signals whether the body needs glucose—that is, the “factors directly regulating the activity of the rate-limiting enzyme(s) of glucose production”—which “normally are the sole determinants of the rate of production,” are hormones. And if the hormonal state is primed to make GNG happen, you better be damn glad it does happen. See, this is what keeps us alive when we fast, or pretty much just on a very low carb or even zero carb diet. If you’re eating close to zero carbohydrate—which is very much possible—your liver and muscles will still have glycogen, but where did that glycogen come from, if you’re not eating any carbs? It had to come from other things being turned into glucose, and then stored as glycogen. Thank goodness for GNG, eh? If GNG didn’t happen on a low carb diet, not only would you not be able to exercise, but you would also probably straight-up die. Let’s talk about what happens when we eat protein. In order to understand the mechanisms at work, it’ll be helpful for us to come at it from that good ol’ evolutionary perspective. Insulin, as you know, helps to get glucose into cells. But insulin also helps amino acids get into cells. That’s part of what insulin does: it pushes nutrients into cells. It’s supposed to do this. If you like flexing your biceps in front of the mirror or taking selfies of your swole calves, be grateful that insulin does this. Protein takes a long time to digest. There’s a reason it’s so satiating. (People say fat is the most filling and satiating. You’ve probably seen this everywhere: “If you’re hungry, eat more fat!” I have not found this to be true at all. Protein is what fills me up, or maybe protein with fat, but fat, by itself, does nothing for me. Massive amounts of butter don’t fill me up. Massive amounts of mayonnaise don’t fill me up. But a big steak? A big pork chop? I’ll be plenty full after that, even without adding any extra fat to it.) YMMV, but if your digestion is so quick that within 30 minutes, a 12-ounce steak has been entirely dispatched by your stomach acid, moved on to the small intestine, and the individual amino acids have been absorbed into the portal circulation to be delivered to your liver, and the liver has converted them into glucose, and they’ve been sent out into your bloodstream—all within 30 fast minutes—then you, my friend, should charge scientists to study you, because you are quite the physiological oddity! Bottom line: IT DOESN’T HAPPEN THAT FAST. If your blood glucose rises after a high-protein meal, it’s not because the amino acids you just ate have “turned into sugar.” It’s the glycogen being released by your liver, under the influence of glucagon. It’s your liver, doing exactly what your liver is supposed to do when you eat protein. Now, to be clear, protein does affect insulin and blood glucose. We know it does, because type 1 diabetics have to account for protein—not just carbohydrate—when they bolus their pre-meal insulin. But again, this isn’t because the protein they plan to ingest is going to immediately turn into sugar and “spike” their BG. It has more to do with the hormonal effects of protein, which is likely why it’s so difficult to avoid highs and lows when you’re dealing with exogenous insulin. Even people managing T1D with a low carb or ketogenic diet—which dramatically reduces the amount of insulin needed, and also reduces the frequency and severity of highs and lows—will still have highs and lows from time to time. Because it’s a very delicate hormonal balancing act, and it’s difficult enough for non-diabetics, let alone those who depend on the complex calculus of bolusing injected insulin. Type 1 diabetics have to be very careful when calculating their insulin needs to cover for protein, because the rise in BG is a bit less, and much more gradual than they typically experience from a big blast of sugar. I’m copying & pasting an exchange from the aforementioned Calories Proper blog. The comment comes from Marty Kendall, who has an excellent site of his own (Optimising Nutrition), and has developed some really, really useful indices regarding the insulinogenic properties of various foods. NICE, huh? The glucose in the blood immediately after protein consumption comes largely from hepatic (liver) glycogen, and in the very neat way a healthy human body has of regulating itself, if/when gluconeogenesis does occur, long after digestion of protein, most of it just goes to replace the liver glycogen that was diminished in the first place. BUT: this is what happens in a healthy, properly regulated body. If we’re talking about type 1 and type 2 diabetics, it’s a different story. Or, rather, not “type 2 diabetes,” per se, but in insulin resistance. (Remember, you can be insulin resistant without being officially diagnosed as a T2 diabetic, but only because the way T2 diabetes is diagnosed is totally misguided.) For the sake of simplicity, I’ll use the term T2 diabetic here to imply a state of insulin resistance. Lest you start thinking glucagon is the enemy (there is far too much black and white thinking in the keto world), glucagon stimulates lipolysis (breaking down fat) and ketogenesis—two things most of us really love and even go out of our way to make happen more (such as via fasting or exercise.) Glucagon rises as blood glucose and insulin fall. Insulin is a storage hormone; glucagon is a mobilizing hormone. Insulin generally tells the body to put things into cells; glucagon tells the body to pull things—like fat—out of cells. (This is why it’s so damn hard to mobilize fatty acids—that, is to burn fat—when your insulin levels are high all the time.) Glucagon mobilizes glucose and fatty acids. (And when fatty acids are mobilized, ketones are likely to follow, even if only at a low level.) In the short term, dietary protein reduces ketogenesis—but only temporarily, because of the insulin. Insulin tells us to store, and you don’t break down fuels at the same time you’re storing them. Except for when you eat protein and have a very slight anti-ketogenic effect in the presence of glucagon, glucagon is pro-ketogenic. Remember: glucagon is a counter-regulatory hormone to insulin. As insulin levels decrease, glucagon levels rise. Except in response to dietary protein, glucagon generally rises when we don’t have fuel coming in: between meals, overnight, during a fast, etc. It does this so we can “feed” on our stored glucose and fat during these times. That’s kinda the whole point. We like glucagon. (Glucagon is only a “problem” in T1D, when there’s not enough insulin to keep it in check, so the body is in a constant state of uncontrolled catabolism [breaking itself down, wasting away]). A “high” protein intake is harmful for the bones and kidneys. Protein activates scary-sounding pathways and hormones like mTOR and IGF-1, potentially increasing risk for cancer (IGF-1) and decreasing longevity (mTOR). Most people are probably much more concerned about the GNG/glucose/insulin stuff we covered here, but I know some of you wonder about these other issues, too. So I’ll tackle them in a separate post. Thank you Amy. I've been waiting for this post for a long time. As usual you are the voice of carefully well thought out reason in a sea of fear mongers. I eagerly await your post on longevity and protein. It's good to see you back. Loved the title "more than you ever wanted to know..." :-). As an overweight T2D going low carb has been great, but as I delved deeper and read more about LC, I was at a point where I was just plain lost about what I could actually eat. Had to be low carb (no question), had to be careful of too much fat (burn body fat and not ingested fat) and also had to be low protein (fear of GNG). It almost seemed like the only way to reduce IR and lose weight was to fast longer and more frequently i.e. almost everyday. This extremely well researched article seems to have been the missing link that I was searching for and the beauty is in the single line "The glucose from amino acid gluconeogenesis doesn't appear until long after the insulin response, and it usually ends up in hepatic glycogen.". Yipee I can eat again. I'm a type 2 diabetic. How can I know how much protein I can eat each day to lose fat? Thanks! Hmm...hard for me to say without knowing a single thing about you other than you have T2D. Are you not happy with the results you're getting now? If you're happy, then carry on! "If it ain't broke, don't fix it." Your protein intake should be based on your goal weight. Keep carbs low and don't go nuts on protein but don't skimp either. If you'd like more personalized guidance, please send me an email. It's not appropriate for me to comment further without knowing more about you. Thanks Amy, definitely keeping this post on hand for reference. Also, love your style of writing. Where is the studies as references, not articles as the ones above? I love ketogains, really love them to bits but if one is gonna right these articles it will be better to put out references to studies or biochemistry papers explaining metabolic pathways. You'll find detailed scientific references in some of the posts I linked to at the end. That was the whole point, and I did explain that -- that if you wanted to dive deeper into the science, those posts would do it. Maybe not *all* of them, but if you want the data, read the post on Calories Proper, and the ones from Ketotic.org. I think you'll find what you're looking for there. Thanks very much for this Amy. I have always wondered about excess protein(Not as in eating to excess but the stuff left over after it's used for rebuilding). Did it feed GNG? Did you just excrete it? What? Forgot to add: Now it is crystal clear. Thanks for the post. It may take a few readings to comprehend for this non-scientist. And thank you for helping me to have a different take on protein and not fear it so much. I'm convinced that we are all n=1, that we have to find what works for us individually. Posts like this make it easier for me to play with the protein variable. Thanks to you and Doctors Naiman and Baker I've been adding protein and liking the results. "If glucagon didn’t do this, you’d probably die from hypoglycemia in your sleep, or after more than about two days of fasting." I've had to discontinue several fasts after four days due to low blood sugar, 40's and low 50's. Sounds like my pancreas is dysfunctional. Thoughts? I don't plan on fasting more than 24 hours anymore, these were just experiments I did a few years ago. Cheers! I love your posts, but every time I need to separate a part of my day to read them as they are huge. Yes, brevity is not my strong suit. This is very well-written and well-organized. One thing I've noticed in my personal experimentation is that gluconeogenesis seems to turn on strongly when I am hypocaloric, that is, when my body does its computations and decides there is a calorie deficit even though there is food coming in because I am not fasting, but not enough food is coming in. My two cents is that I thought this might be a reason for the idea that protein "causes" gluconeogenesis. Someone who cuts the carbs and starts eating more protein may feel satiated at a lower calorie level and stop eating sooner even though the body knows these meals are hypocaloric and makes the adjustment to increase gluconeogenesis. But it wasn't the protein that caused it, it is that calories are below what the body considers to be the correct calorie level. Thank you,thank you,thank you! Amazing compilation of information on protein synthesis and its effect on blood glucose. I am no longer afraid of consuming too much protein on a ketogenic diet. Now my biggest worry is too much saturated fat as I am a APOE 3/4 genotype. I wish you would write a comprehensive article about that conundrum for ketonians who carry the APOE 4 allele. I keep going in circles! The people there are extremely knowledgeable on all things E4 -- they know much more than I do. You'll be like a kid in a candy store in their forums! And as usual, thank you for tying together so much of what I have personally observed - in myself and others - and so much of the research I have read into a logical PATTERN. My brain likes patterns . . . Wow!! I am a new NTP and this is the first of your stuff I have read (I hate saying that though) and this topic totally fascinates me. I hope to learn so much more about this topic. You may have also helped me start to develop my niche...all things blood sugar related.I also can'take wait to read the links you posted and wander all around your website. And buy your book...sorry it has taken me so long!! Thanks for reading, Jamie. :) And congrats on joining the NTP community! Wow, I got to the end with the help of some easy music. And the end is what I am always saying, better to be fat adapted and than to worry about keytones. There is far too much worry over them. I think it was a well worthwhile read and worthwhile your writing it. I shall put it up on the UK support group https://www.facebook.com/groups/LCHFsupportUK/ and my # LCHF81 page. Amy, thank for this fantastic article. It confirmed a couple of things for me. I have a question though about dairy proteins. The last thing I read before your article was one by Mark Sisson about the research on the effect of dairy proteins on insulin. One study showed insulin response to be higher than that of white bread would be at odds with how you describe the insulin release prompted by proteins. So, are you talking about amino acids from meat, fish, eggs only or dairy protein as well? Don't overthink this. ;-) I was writing about protein in general and trying to restore some sanity into the low carb world because I'm beyond tired of getting emails from women who are eating 50 grams of protein a day and loading everything up with extra fat and wondering why they're not losing weight. I've read that dairy proteins can be more insulinogenic -- whey, specifically, is known to induce a higher insulin response, and I think this is part of why it seems to be so effective for building muscle mass. (I've had success with this in the past, myself.) But the fact is, people vary a great deal in their insulin and glucose responses to different foods. Two people can eat exactly the same food in the same amount and have very different glucose and insulin levels. And even the same person can have a different response to the same food item under different circumstances -- for example, eating it after an intense workout done fasted, as compared to eating it an hour after already having had a large meal. Changes in sleep can even alter your BG & insulin responses. This is why sleep apnea, short sleep (sleep deficit), and broken/interrupted sleep are all risk factors for T2 diabetes, metabolic syndrome, etc. Honestly, I wouldn't worry too much. If you're super concerned about the insulin response to dairy, maybe cut out certain forms of dairy and stick to butter, ghee, and cream. But don't make yourself crazy over this stuff. Brilliant post Amy. I have alwasy been concerned about excess protein after reading . Ron Rosedale – Protein: The Good, The Bad and The Ugly. a number of years ago. Thanks for all you do to make our world a better place. Dr. Rosedale is a brilliant guy and I respect him a great deal. Unfortunately, I think some people have become so fearful of protein that they are now *under-eating* it, to their detriment. I see many, many women who are not eating enough protein and they wonder why the're having such a hard time with certain things. I understand what Rosedale is going for in terms of longevity and also some other health benefits above and beyond just a regular low carb diet, but to be honest, I don't know if we have sufficient data to say how much protein (or calorie) restriction would be required to extend lifespan in humans -- and to what degree, and for how long? If you start restricting in your 60s, is that too late? Is it already too late in your 30s or 40s? Do you have to follow a low-protein diet for your entire life, from the get-go, in order to extend lifespan? Exactly how much would someone need to restrict in order to get exactly how many more weeks, months, or years, tacked on to their life? I don't think we know. If someone wants to use their own body as the experiment for finding out, at least, for themselves (because the answers to these questions might vary from person to person), that's fine. But for me, personally, I am more concerned with being healthy and strong in the here and now, as well as in the future, but I am not orienting my diet with a focus on living as long as possible. As I said, though, I truly respect Rosedale. He was one of the earliest proponents of a low carb, high fat diet -- decades before it had the kind of popularity is has now. He was one of the original pioneers, back when fat was still a four letter word, so to speak. This is my first time reading one of your posts and I am grateful and impressed. Thank you. I did "moderate" protein ketogenic diet for a year. My ketones were always high but I couldn't lose body fat. I was on at least 200g of fat daily and just felt more unwell. I have been increasing my protein for about a month now and dropped my fat. It feels like I am finally losing some fat but I seem to be losing muscle too. Do you have any posts or ideas about this or how a T1D can do the ketogenic diet and lose fat without body wasting please? Thank you for the detailed post on this subject. I for one have been confused about this topic. The social media groups I am involved in talk about how you don't want to eat too much protein to lose weight or stay in ketosis. I have checked my blood sugars post prandial and don't see the "spike" in my blood sugars (T2D). I am looking forward to your next post regarding mTOR. I heard Dr. Mercola speak of this in regards to much protein intake. Definitely will file this one due to much confusion out there about this subject. I love this post, butI have to read it again. If you eat a 100% carnivore diet, wat will be the minimum of amino acids to eat. https://www.70GoingOn100.com … the Centenarian Diet … maybe 70 Going On 128 … the Hayflick Limit … or if a fan of Ray Kurzweil … then this is all a Moot Point. Whoa, whoa, whoa. I didn't "ignore the new science of autophagy." What, you wanted this post to be *longer? * There's only so much I can cover at once. I did leave off saying there will be a part 2 where I address the mTOR issue. I can, if people want, talk about autophagy, because they all sort of go hand-in-hand, don't they? mTOR, IGF-1, and autophagy? Also: nowhere in this post did I tell people to gorge on protein, nor that unlimited protein is recommended. I was trying to do one thing, primarily, for now: gently and with good humor talk some sense into the many people who are very much afraid of consuming even *adequate* protein. "Too much" protein is not good -- as is the case with fat and carbohydrate as well -- but if you could see the emails I get... Honestly, there is a growing contingent of folks who are damn near terrified of eating *sufficient* protein. They are not in danger of going overboard; if anything, I hear often from people who are *under-*eating protein. Nobody is saying people with kidney failure should eat a high protein diet. What I like about it is that she emphasizes the utility of a high-fat, moderate-protein diet, while also acknowledging the importance of at least adequate protein. She's written these posts as a kind of response to the growing trend of "zero carb" or "carnivore" diets -- very protein-heavy, but also high in fat as well, with *zero* plant foods. (Yep, no vegetables, no fruit, no nuts, no seeds, not even olive or coconut oil. 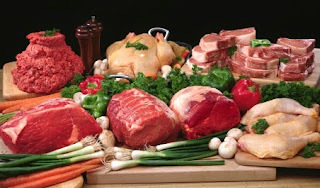 IT's not so much "zero carb" as it is zero plant foods and 100% foods from the animal kingdom, with some people making exceptions for coffee and wine.) Please note I am not saying that I recommend this. I am simply explaining why Woo was writing her posts -- because she is very disturbed by the exploding popularity of this strategy. So eating protein doesn't just trigger GNG "just because". There has to be a reason, being it doesn't have glucose. My question is, doesnt being on a ketogenic diet give the body reason to convert those amino acid to glucose because it is lacking it from other sources (carbs)? What better reason to trigger GNG? Exactly. The body will make the glucose as needed. GNG is nothing to fear on a ketogenic diet. In fact, it's part of the reason people can do keto long term and there's no harm of insufficient glucose in the body. Thanks Amy, but my point was that this article sounded like someone else talking, not you. At my age my friends are dying around me, and after some Research (all on my site) Dr. Seyfried is correct but not just for Cancer, and easily extended to All Man-made diseases, i.e. your topic Alzjheimer's, as a follow-on the Type 2. CICO is wrong since a caloric is just a measurement of energy, not Nutrition. 1900 - 10% carbs (seasonal) today 63% (USDA) and proteins have essentially stayed the same. All roads lead to Diet, and My Point is that the reason that LCHF works and Atkins failed is that he did not have the science of Autophagy. Autophagy and Apoptosis are essentially the same thing but Self-eating vs Self-Killing and clean up the body and recycle proteins and metabolites. Again why LCHF works. Carbs not good (refined), SFAs neutral, and proteins good and bad. However we "Only" store fats and proteins, and utilize these stores. The reason your blood glucose will never go to Zero (historically - starvation/fasting BHC-before high carb) is because of GNG, an evolutionary adaptation as is Ketone Fuel. As you know Fats are hydrophobic, Carbs Hydrophilic and require 7 molecules of water to be stored ... animals simply cannot not do that, so nature/chemistry has provided mechanisms to support protein and fat storage and their Re-Utilization. The GOOD News ... Halley Berry at her New Movie - "I use Ketogenic Diet" ... her answer to why she looks so good, because it is simple, and Keto does "Not" mean no veggies, in fact your 60 % vegetarian (Fettke just announced). But I did an article on Autophagy since it effects Aging (7000 papers last yr), and I get the same (Seniors should eat more Protein), however I am a fan of Dr. Bruce Ames and "Triage Theory". We simply turn off our immune system with a "Bad Diet". Thank you for sharing your knowledge and insights. What is your view on what Paul Jaminet is talking about on this page? be a problem because of what he writes. the liver is not able to create enough glucose or ketones. So bloodsugar levels can become too low. only 420 kcal per day. On this page it is also mentioned to eat enough protein on a ketogenic diet. afternoon and fasting in the evening. It might also explain why I had problems digesting coconut oil. At some point I could eat about 100 ml coconut oil per day but then after a few months I could not anymore. Maybe a problem with the mucus in the intestines could be an explanation for that. I eat vegetarian (not for health reasons though) but not vegan because I do eat eggs and dairy. and because of that he got higher glucose levels. and because of that got more irritated which resulted in higher blood sugar levels because of stress reactions. Dr Colin Champ showed in a presentation his levels of blood sugar and showed some spikes due to stress (I think it was due to his participation in traffic). I think some people do not fare best on very, very strict ketogenic diets, and I have written at least 3 blog posts on this. I don't think there is such a thing as "mucus deficiency" the way Jaminet explains, but I respect that some people really do feel better (and have better health) on a more diversified diet with a higher carbohydrate intake. I read PHD and enjoyed it very much. As for protein sources on a vegetarian diet, you're right to include eggs and dairy. Cottage cheese is a very good choice, as is Greek/strained yogurt. Most people - especially if you are healthy and metabolically fit - can do just fine with beans/pulses: lentils, black beans, etc. These are a good source of protein and have a lesser effect on blood glucose & insulin because of the fiber content. series, apple cider vinegar etc. 1 or 2 years ago. I remember the big picture but sometimes I forget some details). via patience and tolerance in order to let these feelings naturally pass through you and to let them naturally dissolve instead of suppressing or fighting with them and with physical exercise it is also good to sometimes go beyond what is pleasant, a little bit. because I can enjoy good health because of it, but you won't see me eating cheese (except for cottage cheese) even though it might be good for my health because I really don't like it. but it seems that evolution is still ongoing and also needs to continue. From a psychological perspective the brain is not perfect, as professor Paul Gilbert mentions in his book "The compassionate mind"
so it seems a good idea to invest in this "soothing system" as part of cultivating an enjoyable lifestyle. So although in general cultivating an enjoyable life is good I think, it may not always be possible to enjoy life. as long as you are on the good side of the balance, things work out well. therefore should learn ways and a lifestyle that help us to let that happen I think: like a better diet, exercise and meditation (and learning to go from beginning to more advanced forms of meditation as they could have a greater power to reduce stress, it seems to me), improve sleep quality, (intermittent) fasting, etc. Back to the food (see, I read your blogs because sometimes you also use these kinds of words). bit of coconut oil and that works pretty good for me. I can eat beans (kidney beans), lentils, peas and vegetables with that and I can also add quite some salt to it. I cool the beans and lentils as well so some of the carbs in the beans become prebiotic. I have the feeling that lentils raise blood sugar more though. I also have the feeling that cooling bananas in the refrigerator also turn some of the carbs in the bananas into resistant starch. It feels like my blood sugar is less raised if I eat cooled bananas (cooled for at least 12 hours) while these bananas are already quite yellow so I guess that are ripened. protein and some fiber. Peanut butter actually helped to keep my weight during the period of eating a ketogenic diet but I like it a little too much and also I learned that it contains lectins which may cause health problems. So I recently switched to tahini that also provides protein and some fiber and fat (although maybe not the ideal kind of fat). For fat I also use olive oil and also butter from grass fed cows. protein in it. It is called "kwark" in Dutch. Maybe "kwark" is the same as strained yoghurt. and switched to tahini. Now I guess it's just a matters of being patient and see what happens. I have a background in applied physics and probably because of that I have a tendency to experiment also with nutrition or exercise or meditation etc. I have to go by feeling on all of this. It would be better to measure more but for me that is not possible right now. But in the future I could maybe do that at some point if necessary. and promising for the future. that would be very good I think. to diet and life style as you know and much less to pharmaceutical medicine because of all their side effects. will likely have less effect because as people can measure more and more easily they can see more easily for themselves the effects that things have on their health in an early stage, so it is less based on the stories that are told and if stories are followed there is a greater chance that these stories can be verified more easily with measurement. Also you mentioned on your twitter page something about facebook and twitter. Why facebook is more irritating then twitter. Maybe the links below will shed some light on this. that these social media companies try to trigger you as close to the brainstem as possible. That leads to automatic behavior that is difficult to let go off, resulting in a greater chance for becoming hooked. on their website/app. Maybe they are not only into software programming but also into brain programming. becomes irritating. I do not have a Facebook account so I don't know what it is like to have one. to counter the possible negative effect internet use has. more about letting be and letting go etc. also use mindfulness and or yoga or compassion in their approaches of psychological problems. the possible negative influence of the radiation that mobile devices emit. while also becoming more habituated to patterns that lead to more stress. I therefore also cut back on following the news because this can trigger also a little bit too much. and which I looked at before the internet began, see https://twitter.com/teletekst (in Dutch). In general I try to go a little bit back to the amount and frequency of information consumption of before the internet. Thanks for these links. Quite the list there. I'll try to get through these in time. I do hope some of them explain why I very much enjoy Twitter but dislike Facebook. So, you see, it's not that I hate all social media; I am just selective about which ones bring me pleasure and which ones make me angry and agitated. or is in some way interrupting you or trying to get your attention more than twitter does. while Facebook may go over your threshold for these things. as it depends on the person using it. If everybody would hate Facebook it would not have so many users I guess. or recognize why this is the case. For example Bessel van der Kolk mentions this in one of his presentations that can be viewed on youtube. that is related with awareness and that part can communicate with the limbic system. because how things are recognized (through awareness) influences the limbic system and emotions. space for new more positive perspectives that can influence the emotions as well. For a neuroscientific explanation of mindfulness-meditation see this presentation by professor David Vago. At the beginning of his presentation Mark Williams relates mindfulness to "clear seeing"
which is cultivated through shamatha meditation. The "seeing clearly" aspect is usually related to vipashyana meditation. Khenpo Sherab Sangpo also makes this distinction, see his "application of mindfulness" youtube playlist. after years of daily meditation practice for a sufficient amount of time) the union of shamatha and vipashyana becomes possible. The shamatha meditation is necessary to able to rest while there is "clear seeing". Khenpo Sherab Sangpo explains this in his "the stages of meditation" youtube playlist which is based on a meditation text from the eight century and oral commentaries/instructions that have been past on in his tradition for centuries. I think for western people it is good to also watch people like Mark Williams and Paul Gilbert (in addition to experienced meditation teachers from a Buddhist tradition) to see how this can be approached in a secular way and/or how it relates to a western way of living and also how it relates to western psychology and neuroscience. Thupten Jinpa Is also interesting for this I think because he has been educated both in the east and the west and also has lived in the east and the west. it seems to me, it stimulates what could be called limbic system based communication. which may lead to a more impulsive reactive way of inaccurate communication based on more primitive regions of the brain (like the lymbic system). ways of perceiving things and more thinking in terms of us and them instead of we. Professor Paul Gilbert mentions in this presentation (linked alseo earlier: https://www.youtube.com/watch?v=e2skAMI8c-4) that a possible downside of being connected (which is related to the "soothing system") is tribalism and possible negative actions related to that (I think he mentions "war as group loyalty", if I understand him correctly). to be aware of that because I don't think this is really contributing to mental health and therefore health in general. Also considering the length of my responses here, I don't think twitter would be something for me. Thank you for the great article Amy.A quick question: my blood sugar rises when I work out on an empty stomack and stays up all day, unless I eat something -usually a fat coffee does the trick. I ve been on keto for about six months with great results but this is a mystery...Could it be insuline resistance? I am borderline pre diabetic. Thank you very much! Regarding your blood glucose rising after exercise: that is normal. That is *supposed to happen. * It is your body's normal, natural response to exercise, especially intense exercise, and even more so, intense exercise in a fasted state. It is your cortisol, adrenaline, and a couple of other hormones kicking in in order to get you through the workout. I cannot emphasize this enough: this is normal, and it is supposed to happen. How high is it going? It shouldn't be skyrocketing and staying up very high all day. If it's only going up a little, that's absolutely normal (healthy, even, as a response to exercise in a fasted state). I'm not sure why it's staying elevated, but I can't really say more without knowing how much of a rise you're talking about. Where is it when you wake up/first time you check in the morning, and what is it rising to after exercise? I'm guessing you are probably overly worried about something you don't need to worry about at all, but I can't say without knowing more. Why do you say it stays up all day unless you eat something? Are you NOT eating something during the day? Are you fasting all day? STOP. Eat something, girl! Yeah, if it's not even going over 100, STOP WORRYING. It's absolutely unnecessary to get worked up over this. It is a NON-ISSUE. I'm waiting for the article on TOR and IGF1. With the recommendations people give for protein just eating more then one steak worth of protein would be high according to them. It seems crazy, in the past people didn't just eat one steak worth of protein and they were healthy. Lifespans might not have been as good but healthspans were definitely better. Some tribes had people living in their 90's though and some centenarians so i don't know. I'll be on the lookout for the mTOR and IGF1 article. Much work on why 30 gram chunks of protein per meal is important - Layman and others. So if there is such a thing as too much protein, for whatever reason, what is it? Personally i find the 1g/kg lbm to be far too low. Ghost Whistler, you just do not need, excess become 'Waste'. We Recycle 70% of our proteins due to the mechanism of Autophagy, in conjunction with Apoptosis. These work together to clean up cellular debris and recycle nutrients, proteins are just (1) Hence, 70 g/d, or 0.6 g/d/kg lean. Excess proteins are toxic and become Ammonia - Uric Acid and pissed out and I suspect that this is reason Nephrology is now 4 leading cause of Human Diseases. 70g protein isn't remotely filling. that's less than 30g a meal. Even on a high fat diet such as keto that isn't enough. I tend to around 100g a day. While it is true that you can get glucose from triglycerides, it's a lot smaller amount than you might think. Let's see how much glucose you could get from the triglycerides in 400 calories of butter. To make this easier I'll use round numbers. Assume that the butter is all triglycerides. The average length of a fatty acid in butter is 15 carbons. A triglyceride has a 3 carbon backbone and 3 fatty acids. So one triglyceride has 3 carbons in glycerin and 45 carbons in the form of fatty acids, so ignoring all metabolic losses, if you separate the fatty acids from the glycerin, then you fuse the glycerin backbones, you end up with 15 times as many carbon atoms in the fatty acids as you have in the glucose. Using simple math you would end up with 1/16th of the total calories as glucose. This would be about 25 calories in glucose, which would be about 6 grams of carbs. So your 400 calories of butter would at most give you 6 grams of carbs. If I hadn't simplified the math, and ignored metabolic inefficiencies, it would be less than 5 grams of carbs. Of course your body will do it when it's the only source of carbs, but it has to convert a lot of triglycerides into fatty acids and glycerin to get much glucose. And after it does the conversion to fatty acids, a lot of those end up being the ketones that we love so much. I watched the video with Dr. Donald Layman that you suggested and if I understand him correctly, if you are not eating at least 30 grams of protein a meal especially at breakfast, you cannot build muscle (muscle synthesis). Did I understand this correctly? I am trying to maintain a therapeutic ketogenic diet and this amount of protein makes it difficult for me to ingest enough fat to get a 3/4 to 1 ratio of fat grams to protein + carb grams. I've lost 25 pounds and weigh 115 and the skin on my arms is just hanging. I exercise and lift, but my skin is now pathetic. I am a 68 year old female. I am currently eating about 150 grams of fat to 60 grams of protein plus 20 grams of net carbs. I was trying to raise my fat to 200 grams to achieve a better ratio and if I raise my protein, I will need even more fat. I was diagnosed with breast cancer last April. It's hard to know what to do, isn't it??? Anonymous - interesting problem, Layman's point is that Leucine takes over from insulin as we age. it must be 3g or 10% of protein intake, hence 30 g/chunks. But, Autophagy and Apoptosis work together to Recycle Cellular materials - 70% of our proteins come from that. New evidence indicates as we age IGF-1 mechanisms are less effective, and over 65 "Longo" suggests increasing proteins, and not the fat. Fat-Adapted is the "Key Phrase", need to run on ketones not glucose as fuel. And WOW breast cancer or any cancer is a metabolic problem. No real advice here, but carbs under 20 is best choice. Your numbers are similar to mine, except I am closer to Mark Sisson on carbs - 50-70 range as do berries for polyphenols, Berries and Cream. 150 fat, proteins 70-90 mostly Fish/Liver/BeefHeart/Eggs and nuts, nothing else since every nutrient known to man exists in liver, eggs, and fish. (Heart - CoQ10) only grass fed (100%) or wild caught. Good to hear from you, Carroll. I am going to go back and read Dr. Longo's research again. I had been following a 16:8 fasting cycle myself, but ended up with digestive problems and was losing too much weight. My weight has stabilized again, so I hope I can get back to a strict eating window and try some longer fasts, although I am worried about getting too thin. I do well with a daily 8 hour window, but have not been very successful with longer fasts. You've motivated me though, thank you. Carroll, I wanted to let you know that your response to me on January 21 has had an amazing impact. I was spending so much time thinking about "macros" and how to get a 4 to 1 ratio of fats that I was driving myself crazy. Fasting and autophagy are the best thing I can do to try and keep those little cancer demons away. Thank you for reminding me of this fact. Since your note, I have done several 24 hour fasts and one 36 hour fast, always water only. My blood sugars have gone down even lower (70's and below) and my blood ketones have gone up (6.3 after the longer fast) This effect seems to persist for days. I feel great and I am definitely being fueled by fat. With fasting several times a week, I am not obsessing about macros anymore. I am still doing a 16/8 window the other days of the week. My weight is stable and I've joined a fasting group at Dr. Fung's website. Your comment started this ball rolling and your timing was perfect. Thank you; sometimes it just takes a little push in the right direction. I am a religious person and one of my prayers is "Don't forget to thank God for the answers". This time you were the spokesperson. Don't worry about how much fat or protein you consume. Just eat some chicken, pork chops, ground beef, steak, roast beef, eggs, bacon and fish. Around 80% of what i ate when i was living with my grandmother was what i just mentioned above and i lost 60 pounds effortlessly. My grandfather eats this type of food and he is 80 and still going strong with no health problems. My grandmother has no health problems either and she is almost 70.
hi, thanks for that article. May I ask a question about the max proteins amount/meal. Being on I.Fasting (16/8) while trying to adapt to keto-diet (only for 2 weeks), I get only 2 meals daily. While I'm around 63 kg leanmass (for 77kg), I try to get 85/90 prot daily. Would it be better to add a snack with prot (around 20g with coconut oil) to decrease proteins intake during main meals in order to avoid eventual gluconeogenesis, or is it correct to be around 45 prot in each meals (to keep only 2 meals daily & minimize insuline up/down). Sorry for my english (not my mothertongue). Thanks for advices. Totally off protein subject, but do you ever supplement with fiber like PHGG or FOS? I know some folks are careful to get in enough whole food fiber while reducing CHO/hanging out in ketosis, but it also seems like more folks than not are lacking in important microbiome fodder. Hi Victoria, no, I do not supplement with any extra fiber. For most people, it's totally unnecessary, and in some people, it might even cause harm (gastric distress, bloating, etc). There's actually a growing number of people experimenting with a "zero carb" diet -- no plant material of fiber AT ALL, and many of them are absolutely thriving, when they didn't quite have resolution of all their symptoms even on a LCHF/ketogenic diet. The notion that we "need" fiber for the microbiome is actually not correct. We do not *require* fiber at all, although some people do just fine with it. Many do not do so well with a lot of fiber. Hi Amy - I really enjoyed this post. One possible correction: You said, "...and maybe also tell skeletal muscle to break down proteins to release amino acids that can be used as fuel or sent to the liver, to be converted into glucose. " I am pretty sure that this cannot happen. You may want to delete that or if I am wrong, tell me why. I also appreciate your detailed replies to peoples' comments. I just found your site, but have already saved a bunch of links to continue reading. I'm a type 1 diabetic and have been experimenting lately with eating once a day & other methods to better control my blood sugar. I find that it really helps to understand what is going on when making food / insulin decisions. Thank you for the detailed post!! This is the best and most comprehensive article I've seen on the myths of protein overconsumption and gluconeogenesis. I would love to get your feed back on my blog @ https://www.myketoinfo.com it's a bunch of information that I have gathered through various resources, and compiled together. Hi, I just want to know as I heard from some nutritionist that supplementing only BCAA is not advisable due to their gluconeogenic nature. Going through you article, I understand, it has nothing to do with you getting out of ketosis...pls let me know if I’m comprehending correctly in case of only BCAAs also.. It really depends on your goals. *Why* are you interested in BCAA supplementation? I wouldn't worry about GNG from BCAAs if you're active, healthy, and fit. You might not "need" them, but if you feel like they help your athletic performance or give you a boost in terms of muscle building, they're probably fine. Depends on your goals, though, and your current health status. Thanks Amy for your reply. It’s just out of academic interest I want to know if supplementing BCAA would throw me out of ketosis. My goal is always fat loss though. I have had success with Keto but hit a standstill with slowly rising BG readings over time that maintains steady throughout the day. I am not diabetic, but obese and have dropped 38 lbs, about 90 to go. Dr. took one look at my gut and pronounced me IR, which is pretty darn obvious I guess. An odd part of this was at one point, with slowly rising BG and rock steady ketones at 0.3, if I ate a small bag of carrots as a test, my BG would lower to the low 90's from 115ish almost immediately and ketones would rise to 0.8 very quickly. Makes me think that something is inhibiting an insulin release, as if there is a threshold of BG increase that now is required to trigger insulin. Got frustrated and ate a whole Costco bag of berries with cream one night, normal BG/insulin response, back to base after 1.5 hours. A few days later, did a donut test (one donut in the name of science) and the same, no BG lowering just BG spike and insulin response bringing me back to baseline of 110ish. Protein does not create an insulin spike, sometimes a small rise, then back to slowly rising baseline. Decided to go full elimination and am going keto/carnivore for few of weeks to see what happens. Fatty meat, no exogenous ketones other than cream in coffee. Nothing else. 16/8 IF done as well. At first, FBG went down to low 90's, even low 80's after dinner, before bed (lunch being my largest meal) and ketones went to 0.5-0.8 consistently, weight loss followed. However, after 1.5 weeks BG is now creeping up again now to low 100's, which maintain steady during the day until late afternoon, ketones stay in the 0.3-0.4 range with BG > 100 which is close to a level that resulted in no weight loss over 3 weeks previous. So far still seeing weight loss. I'm not doing carrots during this test, so no input there. Carnivore did a bit of a reset for me, but the pattern continues. So my only food intake is meat and a little cream (< 8 oz per day). Yet slowly rising BG is coming from something. Steady I could understand but why the steady rise? Carnivore has also eliminated the dawn effect, which used to be in the 115-118 range (non-diabetic) and would stay all day until late afternoon at times. Some days it would hit, some days not. So with only protein and fat, very elemental forms (straight fresh meat and cream only), BG is slowly rising suggesting that either protein or fat is generating glucose above what would be an optimal non-diebetic level or something is interfering with insulin release hence the slow creep. Any ideas? My tightly controlled experience seems to indicate that either I require blood glucose in the 100+ range or that a supply of protean and fat alone is creating glucose and perhaps inhibiting an insulin release/response (the carrot test). Very confused given all the theory and test results. ok, to be honest, driving me nuts. Hi Jeff, honestly, I would have to know more about your situation before I could speculate as to what might be happening. My advice for you is to STOP MEASURING SO MUCH. Just trust the process and be patient. If you stay very low carb, good things will happen, as it sounds like they still are (weight loss is continuing successfully, dawn phenomenon is improving). Try not to obsess over the numbers. You will make yourself crazy, and the stress and anxiety from that can affect your blood sugar, y'know. ;-) It sounds like you're actually doing quite well and this might be a case where you almost know too much for your own good and are going to make yourself agitated over the minutia. Stay the course and let the magic happen. Quote: "then you, my friend, should charge scientists to study you, because you are quite the physiological oddity!" I think I might just be that oddity!! I have had diarrhea for more than a year (except for about 6 months in which I ate to many nuts and cheese. I eat keto but very little vegetables. I've cut out milk products. For the last 2 weeks I've had no veggies. I eat and within about 1/2 I'm running for the toilet. I eat once a day for this reason. I have no gall bladder. I don't add fat. I only eat what comes with the meat. Any suggestions would be greatly appreciate. Stool test, a year ago, showed no parasites or bacteria. I have not lost weight. Have you tried ox bile supplements? Did you have this bowel problem before keto, on only ever since adopting a ketogenic diet? Quote: "you, my friend, should charge scientists to study you, because you are quite the physiological oddity!" I think I am that oddity!! I have had diarrhea for more than a year. I have a bowel movement within about half hour after eating. Because of this I only eat once a day. I have not lost weight. I am keto and have been for 2 years (except for 6 months in which I ate to many nuts and cheese). Interestingly, I did not have diarrhea during this time. I have no gallbladder. I eat very few veggies. I have not had dairy in 2 weeks. We mostly eat pork. Now, I’m trying a pork free diet. Today, I started trying kefir grains made in coconut milk. You mentioned you haven't lost weight - are you *wanting* to lose weight? What is your current weight, age, and height? If you were eating a lot of cheese (like, *a lot*) that might have helped with the diarrhea, because for some people, dairy is constipating. That may have slowed things down for you, if your tendency was otherwise for your stools to be too loose and urgent.